Hey there! A very warm welcome to all of you! Your company has chosen Payboy to be the Human Resource Management (HRM) software of the company. 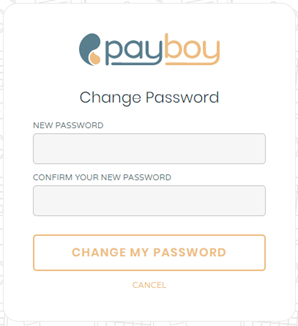 Payboy ensures that the communication between the HR personnel and employees will be hassle-free and more efficient compared to the conventional method. In this article, I will guide you how to onboard yourself into your company account. The following screenshot is the content of the invitation email. Click Onboard Now button to be directed to the page where you have to set your password. Click Change My Password to save this password. You will then be directed to a page where you need to fill in your personal details. Click Submit button once you are done & now your Payboy portal is ready for use! Feel free to contact us if you face any difficulties through the support chat icon on the bottom right of the screen or email support@payboy.biz. We will get back to you within 3 working days.